How did Finland develop from one of the poorest countries in Europe to one of the most successful nations in the world? How has the United States impacted Finland, and what kind of impressions has “brave little Finland” made on Americans? Explore Finland’s journey through the lens of Finnish-American relations by clicking the Centennial Stories titles listed below. 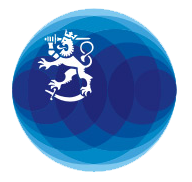 The articles were written in honor of Finland's centennial celebrations in 2017. The first humans arrived in Finland approximately 10 000 years ago after the end of the last ice age. The recorded history of Finland began in the 12th century. Until those times the geographical area that is now Finland was a political vacuum. The Communist revolution of October 1917 in Russia enabled the Finnish senate to declare independence on December 6, 1917. Independent Finland was first recognized by the Soviets one month later. By mid-January 1918, Germany, Norway, Sweden, Denmark and France had recognized the independence of Finland. During the interwar period, Finland made remarkable political, social and economic progress. The democratic institutions grew stronger, and the country worked hard to unify its people after the bloody civil war. Even though Finland was industrializing, almost 60% of the nation’s workforce was still engaged in agriculture and forestry. Even though Finland and the Soviet Union concluded numerous treaties during the 1920s and 1930s, including a non-aggression treaty, the relationship between the two countries remained tense. Finland’s fate in the Second World War was tied to the Molotov–Ribbentrop pact made between Germany and the Soviet Union in August 1939. The Second World War had a heavy impact on Finland. Out of a population of some 3,7 million people, approximately 86,000 died in the war and 57,000 were permanently disabled. There were 24,000 war widows and 50,000 orphans. Nearly half a million refugees, Finns from the ceded areas, needed to be resettled. The late 1950s ushered in an optimistic period in the domestic development of Finland. As the building of a Nordic welfare state began to take speed, it also needed to take into account the movement of people from rural to urban areas. Compared to other Western countries, Finland urbanized rather late. Finland went through major changes as the country urbanized and started to implement a broad and institutionalized welfare policy. The baby boomers became adults at a time when the living standards were rapidly improving. In the 1980s, the Finnish economy boomed, and people were optimistic about the future. The country had developed into a prosperous society, and there was a strong emphasis on the Nordic welfare state. People had more money than ever before, and they used it to buy property, to travel, and to start new hobbies like windsurfing and downhill skiing. The fall of the Berlin Wall and the collapse of the Soviet Union fundamentally changed the post-World War II order in international relations. The Cold War and the confrontation between the East and the West became history. Estonia, Latvia and Lithuania re-declared their independence. The situation in the immediate neighborhood of Finland changed dramatically, for the better. After joining the European Union, Finland placed a lot of emphasis on the international role of the Union, believing that the EU is a predominant stabilizing force in Europe, politically and economically. Finns discussed joining NATO, but the majority felt that the security situation of the country was good, and no security deficit existed. The ever globalizing world has offered Finland a lot of opportunities that have helped it overcome some of the challenges posed by its geographic location. Without the technological advances and the resulting interconnectedness Finland was almost like a remote island in the far north, even ice-bound most winters. In particular, modern information technology has made distances irrelevant in many senses, both inside and outside of the country. Finland has come far during the past 100 years. When Finland gained its independence in 1917 it was one of the poorest countries in Europe. Today Finland is one of the most successful nations in the world. We have examined Finland’s past in the previous 11 parts of this series. Now it is time to look into the future and imagine how Finland will be in 2117.